(Isa 35:1 KJV) The wilderness and the solitary place shall be glad for them; and the desert shall rejoice, and blossom as the rose. (Isa 25:1 KJV) O LORD, thou art my God; I will exalt thee, I will praise thy name; for thou hast done wonderful things; thy counsels of old are faithfulness and truth. 10 Let favour be showed to the wicked, yet will he not learn righteousness: in the land of uprightness will he deal unjustly, and will not behold the majesty of the LORD. come ye, and let us walk in the light of the LORD. 2 Thus speaketh the LORD of hosts, saying, This people say, The time is not come, the time that the LORD’S house should be built. 13 Then spake Haggai the LORD’S messenger in the LORD’S message unto the people, saying, I am with you, saith the LORD. When I pray for a sick person I do it first under the leading of the Holy Spirit, I ask God what I am allowed to pray..
Too many People do try to take a gospel short cut all the time, and many people want instant spirituality as well, a quick faith..
Firstly healing is only the Christian children’s bread.. and thus you can claim it by faith if you live right.. God said to me I have let you live after a serious heart attack, cause you had served me. God said I will do for you what the doctors cannot do too. But some of you are still sick and nigh unto death cause you have approached the Lord’s table unworthily, in unrepentant sin..
(3 John 1:2 KJV) Beloved, I wish above all things that thou mayest prosper and be in health, even as thy soul prospereth. Now I have a long history in praying for healing… the prayer of faith may heal the sick..
A man got cancer and I prayed for him and he was healed, years later the cancer had returned and I said to myself I will just pray for him, but God next replied I will not hear your prayer cause he is an evil man. He next died a miserable death. I prayed for 30 people to be healed at different times, and God healed half of them, but the other half he refused to heal them and he told me what unrepentant sins they had in their life still too. I was asked to pray for a dying man in a hospital who had a serious heart attack, God said to me you can pray that he will be healed, he can go and return home and get his affairs in order, and after six months he will die. I was asked to pray for an other man in a hospital who had a serious heart attack, a stroke, and was paralyzed on one side and now in the Hospital. I visited him and prayed for his healing and nothing happened. When I asked God as to why, he replied to me and said who told you to stop praying for him, I returned next week prayed for him and the following week he was sent home to fully recuperate..
Unchristian Hindus often ask me to pray for their loved ones, saying to me even that in their religion they can curse someone, but only Jesus now can lift the curse..
(Mat 13:58 KJV) And he did not many mighty works there because of their unbelief. (Acts 11:24 KJV) For he was a good man, and full of the Holy Ghost and of faith: and much people was added unto the Lord. (Mat 8:10 KJV) When Jesus heard it, he marvelled, and said to them that followed, Verily I say unto you, I have not found so great faith, no, not in Israel. (Mat 9:2 KJV) And, behold, they brought to him a man sick of the palsy, lying on a bed: and Jesus seeing their faith said unto the sick of the palsy; Son, be of good cheer; thy sins be forgiven thee. (Mat 14:31 KJV) And immediately Jesus stretched forth his hand, and caught him, and said unto him, O thou of little faith, wherefore didst thou doubt? 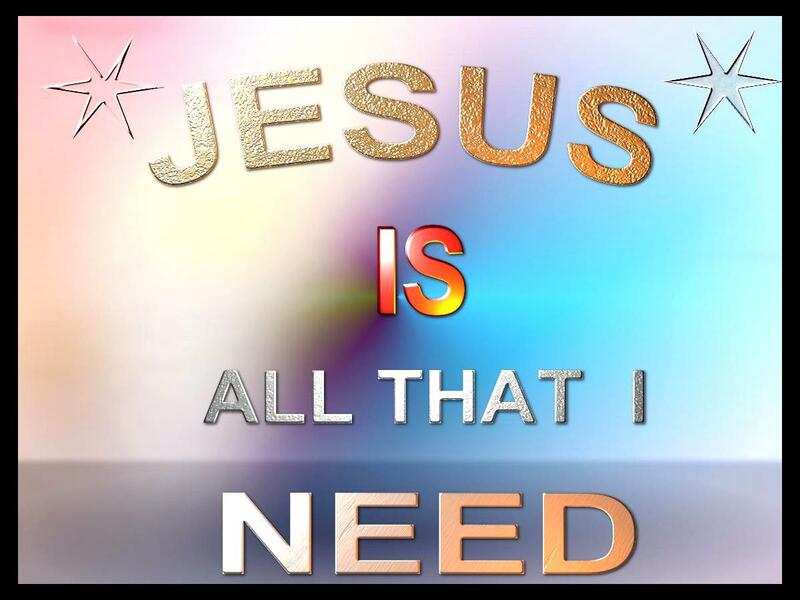 (Mat 15:28 KJV) Then Jesus answered and said unto her, O woman, great is thy faith: be it unto thee even as thou wilt. And her daughter was made whole from that very hour. (Mat 16:8 KJV) Which when Jesus perceived, he said unto them, O ye of little faith, why reason ye among yourselves, because ye have brought no bread? (Mat 17:20 KJV) And Jesus said unto them, Because of your unbelief: for verily I say unto you, If ye have faith as a grain of mustard seed, ye shall say unto this mountain, Remove hence to yonder place; and it shall remove; and nothing shall be impossible unto you. (Mat 21:21 KJV) Jesus answered and said unto them, Verily I say unto you, If ye have faith, and doubt not, ye shall not only do this which is done to the fig tree, but also if ye shall say unto this mountain, Be thou removed, and be thou cast into the sea; it shall be done. (Mark 2:5 KJV) When Jesus saw their faith, he said unto the sick of the palsy, Son, thy sins be forgiven thee. 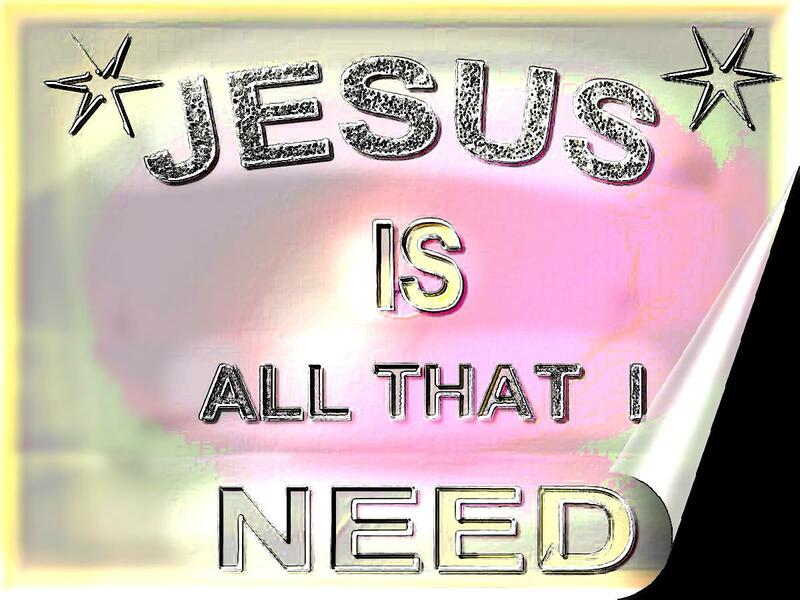 (Mark 10:52 KJV) And Jesus said unto him, Go thy way; thy faith hath made thee whole. And immediately he received his sight, and followed Jesus in the way. (Mark 11:22 KJV) And Jesus answering saith unto them, Have faith in God. (Luke 7:9 KJV) When Jesus heard these things, he marvelled at him, and turned him about, and said unto the people that followed him, I say unto you, I have not found so great faith, no, not in Israel. (Acts 20:21 KJV) Testifying both to the Jews, and also to the Greeks, repentance toward God, and faith toward our Lord Jesus Christ. (Rom 1:8 KJV) First, I thank my God through Jesus Christ for you all, that your faith is spoken of throughout the whole world. (Gal 3:22 KJV) But the scripture hath concluded all under sin, that the promise by faith of Jesus Christ might be given to them that believe. (Gal 5:6 KJV) For in Jesus Christ neither circumcision availeth any thing, nor uncircumcision; but faith which worketh by love. 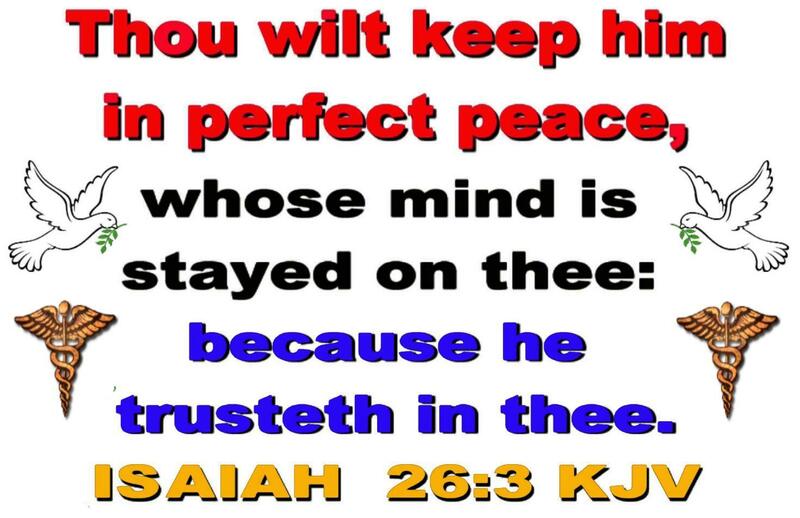 (Eph 6:23 KJV) Peace be to the brethren, and love with faith, from God the Father and the Lord Jesus Christ. (Gal 3:5 KJV) He therefore that ministereth to you the Spirit, and worketh miracles among you, doeth he it by the works of the law, or by the hearing of faith? I HAVE ALSO LEARNED THE HARD WAY THAT EVEN IF MANY PERSONS DO SEE A MIRACLE THERE WILL BE NO SIGNIFICANT SPIRITUAL CHANGE IN THEIR LIFE. God is a God of love and he really does not want us to suffer needlessly so he is willing to help us if we meet his conditions as defined also in the Bible. (John 5:13 KJV) And he that was healed wist not who it was: for Jesus had conveyed himself away, a multitude being in that place.14 Afterward Jesus findeth him in the temple, and said unto him, Behold, thou art made whole: sin no more, lest a worse thing come unto thee. And there were more than 12 apostles as well ..Paul, and Silvanus, and Timotheus, unto the church of the Thessalonians which is in God the Father and in the Lord Jesus Christ: Grace be unto you, and peace, from God our Father, and the Lord Jesus Christ. . .Nor of men sought we glory, neither of you, nor yet of others, when we might have been burdensome, as the apostles of Christ. (1 Thessalonians 2:6, KJV). Whether any do enquire of Titus, he is my partner and fellow helper concerning you: or our brethren be enquired of, they are the messengers [Greek – apostelos] of the churches, and the glory of Christ. (2 Corinthians 8:23, KJV). 2 Truly the signs of an apostle were wrought among you in all patience, in signs, and wonders, and mighty deeds. (2 Corinthians 12:12, KJV). Don’t let anyone tell you apostles and prophets died off with the twelve of the early Church. Because apostles and prophets are ministers who do not draw attention to themselves, they often don’t protest this teaching, but the Bible does. “KATHRYN KUHLMAN WAS A WOMAN OF GREAT FAITH WHO LOVED GOD MORE THAN ANYTHING! I attended quite a few Kathryn Kuhlman services myself.. read her books too..
(Mat 21:42 KJV) Jesus saith unto them, Did ye never read in the scriptures, The stone which the builders rejected, the same is become the head of the corner: this is the Lord’s doing, and it is marvellous in our eyes? (Luke 20:17 KJV) And he beheld them, and said, What is this then that is written, The stone which the builders rejected, the same is become the head of the corner? (Acts 4:11 KJV) This is the stone which was set at nought of you builders, which is become the head of the corner. >>unsure about some (women in leadership). I had specifically prayed about that and God said I should note the term unlawfully usurp authority.. not delegated to them. but if God has given the women the authority, office, it is ok.
(1 Tim 2:12 KJV) But I suffer not a woman to teach, nor to usurp authority over the man, but to be in silence. (Rom 16:7 KJV) Salute Andronicus and Junia, my kinsmen, and my fellowprisoners, who are of note among the apostles, who also were in Christ before me. Junia was a women and an Apostle so it disproves the myth that women cannot be in leadership.. there were women prophets in the new testament church, and still are.. Women Missionaries (or women Apostles) lead over men all the time now for now centuries as well… In fact the best Pastor I have experienced in my whole life was a women, Rev Katherine Khulman. Katherine Kuhlman was one of the giants of the ‘Faith Healers’. In her time she was one of a kind. Many flocked to her meetings, even non-Christians. Secular newspapers covered her meetings. And in her meetings there were so many miracles. But as much healing that took place in her crusades, the fact was that there were still some that left unhealed. Katherine, however, was of the opinion that one day there would be meetings where every single person would get healed. Of course, for this to occur the faith level of the believers and the ministers would have to abound and abound. We are entering into that time zone now. God wants to display His power to this extent: every single person getting a miracle as in the days of Jesus. But He is waiting for our faith to grow to this threshold level. So the question is: how do we build up our faith to such a great level ? Romans 10:17 : says that faith comes by hearing and hearing by the Word of God. The foundation for building your faith is the Word of God. So read the Bible. As we read all about God in the Bible and all of the miracles that He has done our faith will start to grow. What God has done for others He can do for me. The Bible is the bread of life. As with our natural food, to stay alive we need to eat every day. One meal a week will not keep us alive. As so, picking up the Bible once a week is not enough. For many people, Sundays at church is the only time they open the Bible. But this is not the way to become strong in faith. We need food everyday to live physically; and we need to read the Bible everyday to stay alive, healthy and strong spiritually. But reading the Bible and then putting it on the bookshelf is not enough to build strong faith, the kind of faith that Katherine Kuhlman had. The Word of God should be constantly before our eyes. Put the Word of God on little cards, or on little notebooks that fit in your pocket, listen to tapes or CD’s of Bible teachers, carry a pocket New Testament, etc. In other words, keep the Word of God going on throughout the day. This indeed, is the way to strong faith. I once heard a noted Evangelist tell a story about some people who conducted an investigation on a particular ministry. I don’t know if it is true or not, but it proves a point. She wasn’t speaking of Kathryn Kuhlman but this will help with the point that I am making. Well, it seems that this ministry was experiencing miracles and or healings and the investigators decided to look in the basement for the power source. They felt surely there was some kind of an electrical connection or something that would cause all of this to be happening. They thought that if they could just get to the basement so they persevered and go there. In the basement, they found many praying grandmas. See the world doesn’t understand the power of prayer. Okay, back to Kathryn Kuhlman; she was born in 1907 and lived until 1976. Her ministry began at the age of 16 yrs. Now think about it, that’s pretty young. By 1933 at least she had her began the Kuhlman Revival Tabernacle . It sat 2,000 and she was only 27 years of age. Now, I hope that you understand how different the times were back in those days. A lot different and a lot the same. For instance, when she later married an Evangelist said to be her true love; (who divorced his wife to marry her) it destroyed her reputation as well as her ministry. She eventually left him and started over again with her ministry. It was almost ten years and a couple of moves later before she began to see significant growth in her ministry. It was nearly thirty years later before she rose to the fame that many of you may know her by. She is often compared to Benny Hinn because of the power of God that is present during services. The first thing that people don’t seem to understand is that those in the ministry are not perfect people but they are called by God. Kathryn Kuhlman was a woman of God before her time. She was born before women even had the legal right to vote. In fact, it had only happened one year before she began her ministry! She lived through World War One and Two, The Korean War and part of Vietnam as well as The Great Depression. These were tough times in America and I’m sure this impacted her ministry. Many of the people that read this article have not lived through a Great World War. There was the Civil Rights Movement and THe Kennedy Assassination. I submit that in fact, there may be higher expectations on the part of believers from a spiritual perspective and higher faith levels as well as more prayer. This is more important than anything. Kathryn Kuhlman had an anointing from God to heal people. Such an anointing is given by God and very few people have it. The main reason that most people question it is because they don’t know anybody like that so that cannot believe that someone could have such a real gift. Many were fascinated with her ability to sleigh people in the spirit just by standing in front of them. They just think it can’t possibly be true. Such an anointing doesn’t come lightly and it doesn’t come to just anyone. She knew what her gift was and she used it. Such a gift is maintained by spending so much time in the Presence of God in prayer. The average person would not be willing to make such a sacrifice. Kathryn often intimated this by saying: “you must be willing to pay the price”. Another thing is hearing the Word. “Faith comes by hearing.” So in addition to reading the Word get into the habit of reciting the Word and hearing the Word. The more you speak the Word, the more you hear the Word, the more your faith will grow. Over the years I have put scriptures onto cassette tapes and listen to these tapes whenever I have a chance. Another way I have taught my church to pray is like this: I would take a scripture, recite it several times (or recite the main portion of that scripture, or paraphrase that scripture), then praise God like saying ‘Hallelujah!’ and then doing it all over again. We would do a scripture like this for 20 minutes or more. For example, we took Psalms 30.5 and spoke out, “Weeping endures for a night, but joy comes in the morning. Hallelujah! Hallelujah! Hallelujah!” We would repeat this over and over again. The result of this was that when trouble came, we had grown in faith so much that we felt in our spirit, “This trouble is not going to last forever. There is nothing to worry about. We just give it to God and trust Him to handle it. And joy will come very quickly.” So trouble would not bring us down. Jude 20: But you, beloved, building yourselves up on your most holy faith, praying in the Holy Spirit. Praying in Tongues is the primary way of praying in the Holy Spirit. And according to this verse, when we pray in Tongues we are building up our faith. The more we pray in Tongues the more our faith can grow. In my prayer life I have found a most effective way to increase your faith: Quoting a scriptures, praising God for that scripture, and then going into praying in Tongues. The Word of God and the Holy Spirit working together that will really cause your faith to grow by leaps and bounds. After completing the tenth grade–all that was offered–Kathryn Kuhlman began her ministry at age sixteen, assisting her sister and brother-in-law. She was soon on her own, itinerating in Idaho, Utah, and Colorado, finally settling down in Denver in 1933 in the Kuhlman Revival Tabernacle. By 1935 she had built the 2,000 seat Denver Revival Tabernacle. She effectively used the media and established an influential radio ministry. Her marriage to an evangelist, who divorced his wife to marry Kuhlman, destroyed her Denver ministry. They continued to evangelize, but apparently after about six years–she was silent on the subject–she left him and started over again on her own. In 1946 in Franklin, Pennsylvania, a woman was suddenly healed of a tumor during one of Kuhlman’s services. This was to develop as a characteristic phenomenon of the “Miracle Services.” Kuhlman would call out the specific disorder that was being cured in a certain area of the auditorium, and would be received by the appropriate individual. She again developed a daily radio ministry in 1948 she moved to Pittsburgh, which remained her headquarters as she had regular services in Carnegie Hall and the First Presbyterian Church. She was catapulted toward national fame by a seven-page laudatory article in Redbook magazine. From California in 1965 came the insistent invitation of Ralph Wilkerson of Anaheim Christian Center (later Melodyland). She began services at the Pasadena Civic Auditorium, which seated 2,500, but later moved to the Los Angeles Shrine Auditorium, where she regularly filled the 7,000 seats for ten years. She also continued the Pittsburgh meetings while expanding into television, producing more than five hundred telecasts for the BAS network. In 1972 she received the first honorary doctorate awarded by Oral Roberts University. It was not until the mid-1960’s that Kuhlman became particularly identified with the charismatic movement. the older Pentecostals out of the holiness tradition found her twice suspect. She was a divorcee, and she did not satisfy them by giving testimony in her ministry to any personal experience of speaking in tongues. She did not permit tongues in the regular course of the miracle services. Kuhlman objected to the appellation “faith healer .” The only gift she claimed, if any at all was that of “faith” or “the word of knowledge” (1 Cor 12:8-9). She always referred to herself as an evangelist. Apart from the well-documented healings, the most sensational phenomena associated with Kuhlman was “going under the power” (sometimes referred to as being “slain in the Spirit”) as people fell when she prayed for them. This sometimes happened to dozens as a time and occasionally hundreds. Is there in simplicity now a Biblical new testament church structure of eldership, leadership patterns and why is it generally not being followed today in Christian Churches..
Clearly firstly it is due to the lack of holy spirit filled men and women even in most churches now too. God still seeks spirit filled persons but many cannot handle the Holy Spirit fire..
and we do these days too need another Apostle Paul, Apostle Peter, and Apostle John these days too. For certainty also because of the demonic opposition the devil will try to discourage you from finding out reading about the Holy spirit, Charismatics, Pentecostals and the Bible. I know I have experienced this myself the last 40 years. So my sites will reflect, show you what I have learned, found out on these subjects for a start. Kathryn Kuhlman, the amazing woman teacher of the word (59 min). Dr. Maurice Rawlings explores our life after death (88 min). D. L. Moody —New Window died in the last days of the 19th century. Dr. R. A. Torrey was probably his closest associate and friend. Dr. Torrey was the first superintendent of the Moody Bible Institute and set up a curriculum for that Bible Institute which has been a pattern for others like it. When Moody died, Torrey soon took worldwide lead in great citywide campaigns in Australia, England and America. In 1923 Dr. Torrey was asked to speak at a great memorial service on “Why God Used D. L. Moody,” and this is that remarkable address about that amazing man, probably the greatest man of his generation, as Dr. Torrey says. The reader will notice that R. A. Torrey and D. L. Moody both used the term, “baptized with the Holy Ghost” just as it is used in Acts 1:5 about Pentecost. Later, because of some wildfire and theological differences of people who used the term, “the baptism of the Holy Ghost,” Plymouth Brethren said that that term should refer only to Pentecost and the origin of the church. Thus in retreating from other movements, they took out of the Moody Bible Institute and other Bible institutes the teaching of D. L. Moody and R.A. Torrey, and took out the emphasis which those great men of God had put on the fullness of the Spirit, or baptism with the Spirit. And so Dr. C. I. Scofield, in the note to the Scofield Bible, took the Plymouth Brethren position and forsook the position of Moody and Torrey which he originally held. God is looking for men whom He can mightily use in winning souls. We pray that many a reader of this booklet will earnestly decide to follow the pattern of D. L. Moody in the qualities which made him so God could use him with mighty power to win multitudes! Eighty-six years ago (February 5, 1837), there was born of poor parents in a humble farmhouse in Northfield, Massachusetts, a little baby who was to become the greatest man, as I believe, of his generation or of his century — Dwight L. Moody. After our great generals, great statesmen, great scientists and great men of letters have passed away and been forgotten, and their work and its helpful influence has come to an end, the work of D. L. Moody will go on and its saving influence continue and increase, bringing blessing not only to every state in the Union but to every nation on earth. Yes, it will continue throughout the ages of eternity. My subject is “Why God Used D. L. Moody,” and I can think of no subject upon which I would rather speak. For I shall not seek to glorify Mr. Moody, but the God who by His grace, His entirely unmerited favor, used him so mightily, and the Christ who saved him by His atoning death and resurrection life, and the Holy Spirit who lived in him and wrought through him and who alone made him the mighty power that he was to this world. Furthermore: I hope to make it clear that the God who used D. L. Moody in his day is just as ready to use you and me, in this day, if we, on our part, do what D. L. Moody did, which was what made it possible for God to so abundantly use him. The whole secret of why D. L. Moody was such a mightily used man you will find in Psalm 62:11: “God hath spoken once; twice have I heard this; that POWER BELONGETH UNTO GOD.” I am glad it does. I am glad that power did not belong to D. L. Moody; I am glad that it did not belong to Charles G. Finney; I am glad that it did not belong to Martin Luther; I am glad that it did not belong to any other Christian man whom God has greatly used in this world’s history. Power belongs to God. If D. L. Moody had any power, and he had great power, he got it from God. But God does not give His power arbitrarily. It is true that He gives it to whomsoever He will, but He wills to give it on certain conditions, which are clearly revealed in His Word; and D. L. Moody met those conditions and God made him the most wonderful preacher of his generation; yes, I think the most wonderful man of his generation. But how was it that D. L. Moody had that power of God so wonderfully manifested in his life? Pondering this question it seemed to me that there were seven things in the life of D. L. Moody that accounted for God’s using him so largely as He did. The first thing that accounts for God’s using D. L. Moody so mightily was that he was a fully surrendered man. Every ounce of that two-hundred-and-eighty -pound body of his belonged to God; everything he was and everything he had, belonged wholly to God. Now, I am not saying that Mr. Moody was perfect; he was not. If I attempted to, I presume I could point out some defects in his character. It does not occur to me at this moment what they were; but I am confident that I could think of some, if I tried real hard. I have never yet met a perfect man, not one. I have known perfect men in the sense in which the Bible commands us to be perfect, i.e., men who are wholly God’s, out and out for God, fully surrendered to God, with no will but God’s will; but I have never known a man in whom I could not see some defects, some places where he might have been improved. No, Mr. Moody was not a faultless man. If he had any flaws in his character, and he had, I presume I was in a position to know them better than almost any other man, because of my very close association with him in the later years of his life; and furthermore, I suppose that in his latter days he opened his heart to me more fully than to anyone else in the world. I think He told me some things that he told no one else. I presume I knew whatever defects there were in his character as well as anybody. But while I recognized such flaws, nevertheless, I know that he was a man who belonged wholly to God. The first month I was in Chicago, we were having a talk about something upon which we very widely differed, and Mr. Moody turned to me very frankly and very kindly and said in defense of his own position: “Torrey, if I believed that God wanted me to jump out of that window, I would jump.” I believe he would. If he thought God wanted him to do anything, he would do it. He belonged wholly, unreservedly, unqualifiedly, entirely, to God. Henry Varley, a very intimate friend of Mr. Moody in the earlier days of his work, loved to tell how he once said to him: “It remains to be seen what God will do with a man who gives himself up wholly to Him.” I am told that when Mr. Henry Varley said that, Mr. Moody said to himself: “Well, I will be that man.” And I, for my part, do not think “it remains to be seen” what God will do with a man who gives himself up wholly to Him. I think it has been seen already in D. L. Moody. If you and I are to be used in our sphere as D. L. Moody was used in his, we must put all that we have and all that we are in the hands of God, for Him to use as He will, to send us where He will, for God to do with us what He will, and we, on our part, to do everything God bids us do. There are thousands and tens of thousands of men and women in Christian work, brilliant men and women, rarely gifted men and women, men and women who are making great sacrifices, men and women who have put all conscious sin out of their lives, yet who, nevertheless, have stopped short of absolute surrender to God, and therefore have stopped short of fullness of power. But Mr. Moody did not stop short of absolute surrender to God; he was a wholly surrendered man, and if you and I are to be used, you and I must be wholly surrendered men and women. The second secret of the great power exhibited in Mr. Moody’s life was that Mr. Moody was in the deepest and most meaningful sense a man of prayer. People oftentimes say to me: “Well, I went many miles to see and to hear D. L. Moody and he certainly was a wonderful preacher.” Yes, D. L. Moody certainly was a wonderful preacher; taking it all in all, the most wonderful preacher I have ever heard, and it was a great privilege to hear him preach as he alone could preach; but out of a very intimate acquaintance with him I wish to testify that he was a far greater pray-er than he was preacher. Time and time again, he was confronted by obstacles that seemed insurmountable, but he always knew the way to surmount and to overcome all difficulties. He knew the way to bring to pass anything that needed to be brought to pass. He knew and believed in the deepest depths of his soul that “nothing was too hard for the Lord” and that prayer could do anything that God could do. Often we were gathered in the lecture room far into the night — sometimes till one, two, three, four or even five o’clock in the morning, crying to God, just because Mr. Moody urged us to wait upon God until we received His blessing. How many men and women I have known whose lives and characters have been transformed by those nights of prayer and who have wrought mighty things in many lands because of those nights of prayer! One day Mr. Moody drove up to my house at Northfield and said: “Torrey, I want you to take a ride with me.” I got into the carriage and we drove out toward Lover’s Lane, talking about some great and unexpected difficulties that had arisen in regard to the work in Northfield and Chicago, and in connection with other work that was very dear to him. As we drove along, some black storm clouds lay ahead of us, and then suddenly, as we were talking, it began to rain. He drove the horse into a shed near the entrance to Lover’s Lane to shelter the horse, and then laid the reins upon the dashboard and said: “Torrey, pray”; and then, as best I could, I prayed, while he in his heart joined me in prayer. And when my voice was silent he began to pray. Oh, I wish you could have heard that prayer! I shall never forget it, so simple, so trustful, so definite and so direct and so mighty. When the storm was over and we drove back to town, the obstacles had been surmounted, and the work of the schools, and other work that was threatened, went on as it had never gone on before, and it has gone on until this day. On one occasion Mr. Moody said to me in Chicago: “I have just found, to my surprise, that we are twenty thousand dollars behind in our finances for the work here and in Northfield, and we must have that twenty thousand dollars, and I am going to get it by prayer.” He did not tell a soul who had the ability to give a penny of the twenty thousand dollars’ deficit, but looked right to God and said: “I need twenty thousand dollars for my work; send me that money in such a way that I will know it comes straight from Thee.” And God heard that prayer. The money came in such a way that it was clear that it came from God in direct answer to prayer. Yes, D. L. Moody was a man who believed in the God who answers prayer, and not only believed in Him in a theoretical way but believed in Him in a practical way. He was a man who met every difficulty that stood in his way — by prayer. Everything he undertook was backed up by prayer, and in everything, his ultimate dependence was upon God. The third secret of Mr. Moody’s power, or the third reason why God used D. L. Moody, was because he was a deep and practical student of the Word of God. Nowadays it is often said of D. L. Moody that he was not a student. I wish to say that he was a student; most emphatically he was a student. He was not a student of psychology; he was not a student of anthropology — I am very sure he would not have known what that word meant; he was not a student of biology; he was not a student of philosophy; he was not even a student of theology, in the technical sense of the term; but he was a student, a profound and practical student of the one Book that is more worth studying than all other books in the world put together; he was a student of the Bible. Every day of his life, I have reason for believing, he arose very early in the morning to study the Word of God, way down to the close of his life. Mr. Moody used to rise about four o’clock in the morning to study the Bible. He would say to me: “If I am going to get in any study, I have got to get up before the other folks get up”; and he would shut himself up in a remote room in his house, alone with his God and his Bible. I shall never forget the first night I spent in his home. He had invited me to take the superintendency of the Bible Institute and I had already begun my work; I was on my way to some city in the East to preside at the International Christian Workers’ Convention. He wrote me saying: “Just as soon as the Convention is over, come up to Northfield.” He learned when I was likely to arrive and drove over to South Vernon to meet me. That night he had all the teachers from the Mount Hermon School and from the Northfield Seminary come together at the house to meet me, and to talk over the problems of the two schools. We talked together far on into the night, and then, after the principals and teachers of the schools had gone home, Mr. Moody and I talked together about the problems a while longer. It was very late when I got to bed that night, but very early the next morning, about five o’clock, I heard a gentle tap on my door. Then I heard Mr. Moody’s voice whispering: “Torrey, are you up?” I happened to be; I do not always get up at that early hour but I happened to be up that particular morning. He said: “I want you to go somewhere with me,” and I went down with him. Then I found out that he had already been up an hour or two in his room studying the Word of God. Oh, you may talk about power; but, if you neglect the one Book that God has given you as the one instrument through which He imparts and exercises His power, you will not have it. You may read many books and go to many conventions and you may have your all-night prayer meetings to pray for the power of the Holy Ghost; but unless you keep in constant and close association with the one Book, the Bible, you will not have power. And if you ever had power, you will not maintain it except by the daily, earnest, intense study of that Book. Ninety-nine Christians in every hundred are merely playing at Bible study; and therefore ninety-nine Christians in every hundred are mere weaklings, when they might be giants, both in their Christian life and in their service. Mr. Moody replied: “You do as you are told”; and I did as I was told and engaged the Central Music Hall for continuous meetings from nine o’clock in the morning till six o’clock at night. But I did it with a heavy heart; I thought there would be poor audiences. I was on the program at noon that day. Being very busy in my office about the details of the campaign, I did not reach the Central Music Hall till almost noon. I thought I would have no trouble in getting in. But when I got almost to the Hall I found to my amazement that not only was it packed but the vestibule was packed and the steps were packed, and there was no getting anywhere near the door; and if I had not gone round and climbed in a back window they would have lost their speaker for that hour. But that would not have been of much importance, for the crowds had not gathered to hear me; it was the magic of Mr. Moody’s name that had drawn them. And why did they long to hear Mr. Moody? Because they knew that while he was not versed in many of the philosophies and fads and fancies of the day, he did know the one Book that this old world most longs to know — the Bible. I went back to Chicago and engaged the Auditorium, which at that time was the building having the largest seating capacity of any building in the city, seating in those days about seven thousand people; I announced weekday meetings, with Mr. Moody as the speaker, at ten o’clock in the mornings and three o’clock in the afternoons. At once protests began to pour in upon me. One of them came from Marshall Field, at that time the business king of Chicago. “Mr. Torrey,” Mr. Field wrote, “we businessmen of Chicago wish to hear Mr. Moody, and you know perfectly well how impossible it is for us to get out at ten o’clock in the morning and three o’clock in the afternoon; have evening meetings.” I received many letters of a similar purport and wrote to Mr. Moody urging him to give us evening meetings. But Mr. Moody simply replied: “You do as you are told,” and I did as I was told; that is the way I kept my job. On the first morning of the meetings I went down to the Auditorium about half an hour before the appointed time, but I went with much fear and apprehension; I thought the Auditorium would be nowhere nearly full. When I reached there, to my amazement I found a queue of people four abreast extending from the Congress Street entrance to Wabash Avenue, then a block north on Wabash Avenue, then a break to let traffic through, and then another block, and so on. I went in through the back door, and there were many clamoring for entrance there. When the doors were opened at the appointed time, we had a cordon of twenty policemen to keep back the crowd; but the crowd was so great that it swept the cordon of policemen off their feet and packed eight thousand people into the building before we could get the doors shut. And I think there were as many left on the outside as there were in the building. I do not think that anyone else in the world could have drawn such a crowd at such a time. Why? Because though Mr. Moody knew little about science or philosophy or literature in general, he did know the one Book that this old world is perishing to know and longing to know; and this old world will flock to hear men who know the Bible and preach the Bible as they will flock to hear nothing else on earth. During all the months of the World’s Fair in Chicago, no one could draw such crowds as Mr. Moody. Judging by the papers, one would have thought that the great religious event in Chicago at that time was the World’s Congress of Religions. One very gifted man of letters in the East was invited to speak at this Congress. He saw in this invitation the opportunity of his life and prepared his paper, the exact title of which I do not now recall, but it was something along the line of “New Light on the Old Doctrines.” He prepared the paper with great care, and then sent it around to his most trusted and gifted friends for criticisms. These men sent it back to him with such emendations as they had to suggest. Then he rewrote the paper, incorporating as many of the suggestions and criticisms as seemed wise. Then he sent it around for further criticisms. Then he wrote the paper a third time, and had it, as he trusted, perfect. He went on to Chicago to meet this coveted opportunity of speaking at the World’s Congress of Religions. It was at eleven o’clock on a Saturday morning (if I remember correctly) that he was to speak. He stood outside the door of the platform waiting for the great moment to arrive, and as the clock struck eleven he walked on to the platform to face a magnificent audience of eleven women and two men! But there was not a building anywhere in Chicago that would accommodate the very same day the crowds that would flock to hear Mr. Moody at any hour of the day or night. Oh, men and women, if you wish to get an audience and wish to do that audience some good after you get them, study, study, STUDY the one Book, and preach, preach, PREACH the one Book, and teach, teach, TEACH the one Book, the Bible, the only Book that is God’s Word, and the only Book that has power to gather and hold and bless the crowds for any great length of time. He himself had the humility that keeps everything it gets. As I have already said, he was the most humble man I ever knew, i.e., the most humble man when we bear in mind the great things that he did, and the praise that was lavished upon him. Oh, how he loved to put himself in the background and put other men in the foreground. How often he would stand on a platform with some of us little fellows seated behind him and as he spoke he would say: “There are better men coming after me.” As he said it, he would point back over his shoulder with his thumb to the “little fellows. ” I do not know how he could believe it, but he really did believe that the others that were coming after him were really better than he was. He made no pretense to a humility he did not possess. In his heart of hearts he constantly underestimated himself, and overestimated others. He really believed that God would use other men in a larger measure than he had been used. Mr. Moody loved to keep himself in the background. At his conventions at Northfield, or anywhere else, he would push the other men to the front and, if he could, have them do all the preaching — McGregor, Campbell Morgan, Andrew Murray, and the rest of them. The only way we could get him to take any part in the program was to get up in the convention and move that we hear D. L. Moody at the next meeting. He continually put himself out of sight. Oh, how many a man has been full of promise and God has used him, and then the man thought that he was the whole thing and God was compelled to set him aside! I believe more promising workers have gone on the rocks through self-sufficiency and self-esteem than through any other cause. I can look back for forty years, or more, and think of many men who are now wrecks or derelicts who at one time the world thought were going to be something great. But they have disappeared entirely from the public view. Why? Because of overestimation of self. Oh, the men and women who have been put aside because they began to think that they were somebody, that they were “IT,” and therefore God was compelled to set them aside. I remember a man with whom I was closely associated in a great movement in this country. We were having a most successful convention in Buffalo, and he was greatly elated. As we walked down the street together to one of the meetings one day, he said to me: “Torrey, you and I are the most important men in Christian work in this country,” or words to that effect. I replied: “John, I am sorry to hear you say that; for as I read my Bible I find man after man who had accomplished great things whom God had to set aside because of his sense of his own importance.” And God set that man aside also from that time. I think he is still living, but no one ever hears of him, or has heard of him for years. God used D. L. Moody, I think, beyond any man of his day; but it made no difference how much God used him, he never was puffed up. One day, speaking to me of a great New York preacher, now dead, Mr. Moody said: “He once did a very foolish thing, the most foolish thing that I ever knew a man, ordinarily so wise as he was, to do. He came up to me at the close of a little talk I had given and said: ‘Young man, you have made a great address tonight. '” Then Mr. Moody continued: “How foolish of him to have said that! It almost turned my head.” But, thank God, it did not turn his head, and even when pretty much all the ministers in England, Scotland and Ireland, and many of the English bishops were ready to follow D. L. Moody wherever he led, even then it never turned his head one bit. He would get down on his face before God, knowing he was human, and ask God to empty him of all self-sufficiency. And God did. Oh, men and women! especially young men and young women, perhaps God is beginning to use you; very likely people are saying: “What a wonderful gift he has as a Bible teacher, what power he has as a preacher, for such a young man!” Listen: get down upon your face before God. I believe here lies one of the most dangerous snares of the Devil. When the Devil cannot discourage a man, he approaches him on another tack, which he knows is far worse in its results; he puffs him up by whispering in his ear: “You are the leading evangelist of the day. You are the man who will sweep everything before you. You are the coming man. You are the D. L. Moody of the day”; and if you listen to him, he will ruin you. The entire shore of the history of Christian workers is strewn with the wrecks of gallant vessels that were full of promise a few years ago, but these men became puffed up and were driven on the rocks by the wild winds of their own raging self-esteem. The fifth secret of D. L. Moody’s continual power and usefulness was his entire freedom from the love of money. Mr. Moody might have been a wealthy man, but money had no charms for him. He loved to gather money for God’s work; he refused to accumulate money for himself. He told me during the World’s Fair that if he had taken, for himself, the royalties on the hymnbooks which he had published, they would have amounted, at that time, to a million dollars. But Mr. Moody refused to touch the money. He had a perfect right to take it, for he was responsible for the publication of the books and it was his money that went into the publication of the first of them. Mr. Sankey had some hymns that he had taken with him to England and he wished to have them published. He went to a publisher (I think Morgan & Scott) and they declined to publish them, because, as they said, Philip Phillips had recently been over and published a hymnbook and it had not done well. However, Mr. Moody had a little money and he said that he would put it into the publication of these hymns in cheap form; and he did. The hymns had a most remarkable and unexpected sale; they were then published in book form and large profits accrued. The financial results were offered to Mr. Moody, but he refused to touch them. “But,” it was urged on him, “the money belongs to you”; but he would not touch it. Mr. Fleming H. Revell was at the time treasurer of the Chicago Avenue Church, commonly known as the Moody Tabernacle. Only the basement of this new church building had been completed, funds having been exhausted. Hearing of the hymnbook situation Mr. Revell suggested, in a letter to friends in London, that the money be given for completion of this building, and it was. Afterwards, so much money came in that it was given, by the committee into whose hands Mr. Moody put the matter, to various Christian enterprises. In a certain city to which Mr. Moody went in the latter years of his life, and where I went with him, it was publicly announced that Mr. Moody would accept no money whatever for his services. Now, in point of fact, Mr. Moody was dependent, in a measure, upon what was given him at various services; but when this announcement was made, Mr. Moody said nothing, and left that city without a penny’s compensation for the hard work he did there; and, I think, he paid his own hotel bill. And yet a minister in that very city came out with an article in a paper, which I read, in which he told a fairy tale of the financial demands that Mr. Moody made upon them, which story I knew personally to be absolutely untrue. Millions of dollars passed into Mr. Moody hands, but they passed through; they did not stick to his fingers. This is the point at which many an evangelist makes shipwreck, and his great work comes to an untimely end. The love of money on the part of some evangelists has done more to discredit evangelistic work in our day, and to lay many an evangelist on the shelf, than almost any other cause. While I was away on my recent tour I was told by one of the most reliable ministers in one of our eastern cities of a campaign conducted by one who has been greatly used in the past. (Do not imagine, for a moment, that I am speaking of Billy Sunday, for I am not; this same minister spoke in the highest terms of Mr. Sunday and of a campaign which he conducted in a city where this minister was a pastor.) This evangelist of whom I now speak came to a city for a united evangelistic campaign and was supported by fifty-three churches. The minister who told me about the matter was himself chairman of the Finance Committee. The evangelist showed such a longing for money and so deliberately violated the agreement he had made before coming to the city and so insisted upon money being gathered for him in other ways than he had himself prescribed in the original contract, that this minister threatened to resign from the Finance Committee. He was, however, persuaded to remain to avoid a scandal. “As the total result of the three weeks’ campaign there were only twenty-four clear decisions,” said my friend; “and after it was over the ministers got together and by a vote with but one dissenting voice, they agreed to send a letter to this evangelist telling him frankly that they were done with him and with his methods of evangelism forever, and that they felt it their duty to warn other cities against him and his methods and the results of his work.” Let us lay the lesson to our hearts and take warning in time. The sixth reason why God used D. L. Moody was because of his consuming passion for the salvation of the lost. Mr. Moody made the resolution, shortly after he himself was saved, that he would never let twenty-four hours pass over his head without speaking to at least one person about his soul. His was a very busy life, and sometimes he would forget his resolution until the last hour, and sometimes he would get out of bed, dress, go out and talk to someone about his soul in order that he might not let one day pass without having definitely told at least one of his fellow-mortals about his need and the Savior who could meet it. One night Mr. Moody was going home from his place of business. It was very late, and it suddenly occurred to him that he had not spoken to one single person that day about accepting Christ. He said to himself: “Here’s a day lost. I have not spoken to anyone today and I shall not see anybody at this late hour.” But as he walked up the street he saw a man standing under a lamppost. The man was a perfect stranger to him, though it turned out afterwards the man knew who Mr. Moody was. He stepped up to this stranger and said: “Are you a Christian?” The man replied: “That is none of your business, whether I am a Christian or not. If you were not a sort of a preacher I would knock you into the gutter for your impertinence.” Mr. Moody said a few earnest words and passed on. Weeks passed by. One night Mr. Moody was in bed when he heard a tremendous pounding at his front door. He jumped out of bed and rushed to the door. He thought the house was on fire. He thought the man would break down the door. He opened the door and there stood this man. He said: “Mr. Moody, I have not had a good night’s sleep since that night you spoke to me under the lamppost, and I have come around at this unearthly hour of the night for you to tell me what I have to do to be saved.” Mr. Moody took him in and told him what to do to be saved. Then he accepted Christ, and when the Civil War broke out, he went to the front and laid down his life fighting for his country. Another night, Mr. Moody got home and had gone to bed before it occurred to him that he had not spoken to a soul that day about accepting Christ. “Well,” he said to himself, “it is no good getting up now; there will be nobody on the street at this hour of the night.” But he got up, dressed and went to the front door. It was pouring rain. “Oh,” he said, “there will be no one out in this pouring rain. Just then he heard the patter of a man’s feet as he came down the street, holding an umbrella over his head. Then Mr. Moody darted out and rushed up to the man and said: “May I share the shelter of your umbrella?” “Certainly,” the man replied. Then Mr. Moody said: “Have you any shelter in the time of storm?” and preached Jesus to him. Oh, men and women, if we were as full of zeal for the salvation of souls as that, how long would it be before the whole country would be shaken by the power of a mighty, God-sent revival? Then he said: “This will never do, to let these crowds get away from us without preaching to them; we must talk to them. You go and hire Hooley’s Opera House (which was just opposite the City Hall) for the whole day.” I did so. The meetings began at nine o’clock in the morning, and we had one continuous service from that hour until six in the evening, to reach those crowds. Mr. Moody was a man on fire for God. Not only was he always “on the job” himself but he was always getting others to work as well. He once invited me down to Northfield to spend a month there with the schools, speaking first to one school and then crossing the river to the other. I was obliged to use the ferry a great deal; it was before the present bridge was built at that point. One day he said to me: “Torrey, did you know that that ferryman that ferries you across every day was unconverted?” He did not tell me to speak to him, but I knew what he meant. When some days later it was told him that the ferryman was saved, he was exceedingly happy. Once, when walking down a certain street in Chicago, Mr. Moody stepped up to a man, a perfect stranger to him, and said: “Sir, are you a Christian?” “You mind your own business,” was the reply. Mr. Moody replied: “This is my business.” The man said, “Well, then, you must be Moody.” Out in Chicago they used to call him in those early days “Crazy Moody,” because day and night he was speaking to everybody he got a chance to speak to about being saved. One time he was going to Milwaukee, and in the seat that he had chosen sat a traveling man. Mr. Moody sat down beside him and immediately began to talk with him. ” Where are you going?” Mr. Moody asked. When told the name of the town he said: “We will soon be there; we’ll have to get down to business at once. Are you saved?” The man said that he was not, and Mr. Moody took out his Bible and there on the train showed him the way of salvation. Then he said: “Now, you must take Christ.” The man did; he was converted right there on the train. On one occasion in Chicago Mr. Moody saw a little girl standing on the street with a pail in her hand. He went up to her and invited her to his Sunday school, telling her what a pleasant place it was. She promised to go the following Sunday, but she did not do so. Mr. Moody watched for her for weeks, and then one day he saw her on the street again, at some distance from him. He started toward her, but she saw him too and started to run away. Mr. Moody followed her. Down she went one street, Mr. Moody after her; up she went another street, Mr. Moody after her, through an alley, Mr. Moody still following; out on another street, Mr. Moody after her; then she dashed into a saloon and Mr. Moody dashed after her. She ran out the back door and up a flight of stairs, Mr. Moody still following; she dashed into a room, Mr. Moody following; she threw herself under the bed and Mr. Moody reached under the bed and pulled her out by the foot, and led her to Christ. He found that her mother was a widow who had once seen better circumstances, but had gone down until now she was living over this saloon. She had several children. Mr. Moody led the mother and all the family to Christ. Several of the children were prominent members of the Moody Church until they moved away, and afterwards became prominent in churches elsewhere. This particular child, whom he pulled from underneath the bed, was, when I was the pastor of the Moody Church, the wife of one of the most prominent officers in the church. Only two or three years ago, as I came out of a ticket office in Memphis, Tennessee, a fine-looking young man followed me. He said: “Are you not Dr. Torrey?” I said, “Yes.” He said: “I am so and so.” He was the son of this woman. He was then a traveling man, and an officer in the church where he lived. When Mr. Moody pulled that little child out from under the bed by the foot he was pulling a whole family into the Kingdom of God, and eternity alone will reveal how many succeeding generations he was pulling into the Kingdom of God. D. L. Moody’s consuming passion for souls was not for the souls of those who would be helpful to him in building up his work here or elsewhere; his love for souls knew no class limitations. He was no respecter of persons; it might be an earl or a duke or it might be an ignorant colored boy on the street; it was all the same to him; there was a soul to save and he did what lay in his power to save that soul. A friend once told me that the first time he ever heard of Mr. Moody was when Mr. Reynolds of Peoria told him that he once found Mr. Moody sitting in one of the squatters’ shanties that used to be in that part of the city toward the lake, which was then called, “The Sands,” with a colored boy on his knee, a tallow candle in one hand and a Bible in the other, and Mr. Moody was spelling out the words (for at that time the boy could not read very well) of certain verses of Scripture, in an attempt to lead that ignorant colored boy to Christ. Oh, young men and women and all Christian workers, if you and I were on fire for souls like that, how long would it be before we had a revival? Suppose that tonight the fire of God falls and fills our hearts, a burning fire that will send us out all over the country, and across the water to China, Japan, India and Africa, to tell lost souls the way of salvation! The seventh thing that was the secret of why God used D. L. Moody was that he had a very definite enduement with power from on High, a very clear and definite baptism with the Holy Ghost. Moody knew he had “the baptism with the Holy Ghost”; he had no doubt about it. In his early days he was a great hustler; he had a tremendous desire to do something, but he had no real power. He worked very largely in the energy of the flesh. But there were two humble Free Methodist women who used to come over to his meetings in the Y.M.C.A. One was “Auntie Cook” and the other, Mrs. Snow. (I think her name was not Snow at that time.) These two women would come to Mr. Moody at the close of his meetings and say: “We are praying for you.” Finally, Mr. Moody became somewhat nettled and said to them one night: “Why are you praying for me? Why don’t you pray for the unsaved?” They replied: “We are praying that you may get the power.” Mr. Moody did not know what that meant, but he got to thinking about it, and then went to these women and said: “I wish you would tell me what you mean”; and they told him about the definite baptism with the Holy Ghost. Then he asked that he might pray with them and not they merely pray for him. Auntie Cook once told me of the intense fervor with which Mr. Moody prayed on that occasion. She told me in words that I scarcely dare repeat, though I have never forgotten them. And he not only prayed with them, but he also prayed alone. Not long after, one day on his way to England, he was walking up Wall Street in New York; (Mr. Moody very seldom told this and I almost hesitate to tell it) and in the midst of the bustle and hurry of that city his prayer was answered; the power of God fell upon him as he walked up the street and he had to hurry off to the house of a friend and ask that he might have a room by himself, and in that room he stayed alone for hours; and the Holy Ghost came upon him, filling his soul with such joy that at last he had to ask God to withhold His hand, lest he die on the spot from very joy. He went out from that place with the power of the Holy Ghost upon him, and when he got to London (partly through the prayers of a bedridden saint in Mr. Lessey’s church), the power of God wrought through him mightily in North London, and hundreds were added to the churches; and that was what led to his being invited over to the wonderful campaign that followed in later years. Time and again, when a call came to me to go off to some church, he would come up to me and say: “Now, Torrey, be sure and preach on the baptism with the Holy Ghost.” I do not know how many times he said that to me. Once I asked him: “Mr. Moody, don’t you think I have any sermons but those two: ‘Ten Reasons Why I Believe the Bible to Be the Word of God’ and ‘The Baptism With the Holy Ghost’?” “Never mind that,” he replied, “you give them those two sermons. At three o’clock we all gathered in front of Mr. Moody’s mother’s house (she was then still living), and then began to pass down the lane, through the gate, up on the mountainside. There were four hundred and fifty-six of us in all; I know the number because Paul Moody counted us as we passed through the gate. When these testimonies were over, Mr. Moody said: “Young men, I can’t see any reason why we shouldn’t kneel down here right now and ask God that the Holy Ghost may fall upon us just as definitely as He fell upon the apostles on the Day of Pentecost. Let us pray.” And we did pray, there on the mountainside. As we had gone up the mountainside heavy clouds had been gathering, and just as we began to pray those clouds broke and the raindrops began to fall through the overhanging pines. But there was another cloud that had been gathering over Northfield for ten days, a cloud big with the mercy and grace and power of God; and as we began to pray our prayers seemed to pierce that cloud and the Holy Ghost fell upon us. Men and women, that is what we all need the Baptism with the Holy Ghost. (John 5:20 KJV) For the Father loved the Son, and showed him all things that himself doeth: and he will show him greater works than these, that ye may marvel. (John 14:12 KJV) Verily, verily, I say unto you, He that believeth on me, the works that I do shall he do also; and greater works than these shall he do; because I go unto my Father. Me I do prefer to exalt God, the Bible, Jesus, the Holy Spirit and not rather sinful men or sinful women. Unfortunately I too have found out firsthand that too many people have the same problems in life and too many person still don’t know where to go for the good, valid help now. Well here is some help in writing hopefully. Let me be clear too I firstly rightfully do prefer to define any of the problems but also to mention God’s input, help directly on the subject now as well.. especially if I want to HELP anyone and to see any real positive changes in their life next too. No man still has all of the right answers except Jesus Christ and his words, the Bible has plenty of help for us. A Soul mate or a spiritutal mate? What does God say about..? Why is stealing a so common sin? What about white lies too? Seek the LORD Now, Seek His Face and LIVE! A Traveller’s Guide To Heaven…..
Planning to go to heaven? Here’s a traveller’s guide…. Arrangements for first-class accommodation have been made in advance. prepare a place for you.” (John 14:2). Lamb’s book of life”. (Revelation 21:27)..
advised to be prepared to leave at short notice. His own authority. ” (Acts 1:7). should be claimed and its promises kept firmly in hand. over from death to life.” (John 5:24). Only one declaration is required while going through customs. up permanent residence in a new country. The quota is unlimited. …….. He has prepared a city for them.” (Hebrews 11:16). No luggage whatsoever is necessary. of it.” (1 Timothy 6:7). 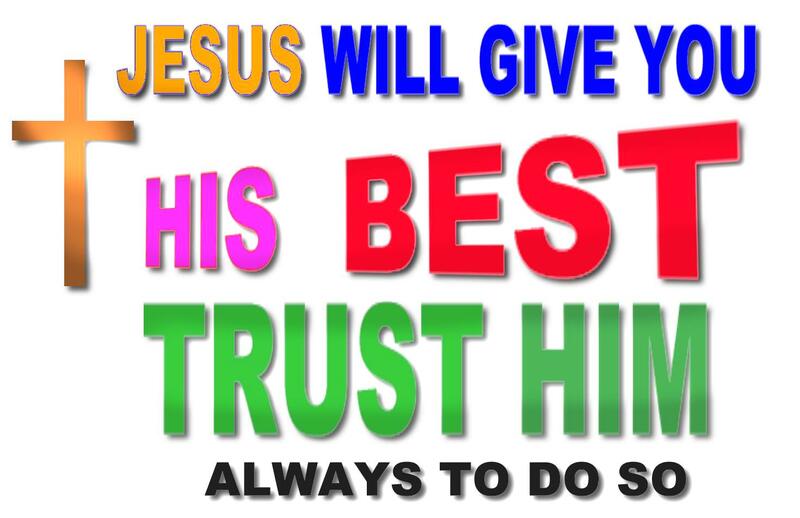 we will be with the Lord forever.” (1 Thessalonians 4:17). death or mourning or crying or pain….” (Revelation 21:4). arrival. Deposit your heart, mind, soul and life. in a robe of righteousness….” (Isaiah 61:10). there will be no night there.” (Revelations 21:23,25). Booking is now open. Apply at once. coronation which await the arrival. (Isa 9:6 KJV) For unto us a child is born, unto us a son is given: and the government shall be upon his shoulder: and his name shall be called Wonderful, Counsellor, The mighty God, The everlasting Father, The Prince of Peace. 7 Of the increase of his government and peace there shall be no end, upon the throne of David, and upon his kingdom, to order it, and to establish it with judgment and with justice from henceforth even for ever.